December | 2007 | Gods Love & Stories Of The Past? Happy New Year to everyone ! Today is the day to make New Years resolutions if you so Desire ? I will make some myself and hope to carry them out and though I would like to say that I was the one that did carry them out I must depend on Gods directions . What are your thoughts ? Below is some thoughts that caught my eye! and a time to build – Eccl 3: 1-3. My Christian Friends ponder these things and do the best you can to build a better relationship with Jesus ? Jesus Christ is waiting for you ! AND PEACE TO HIS PEOPLE ON EARTH . Blessings and Happy New Year ! Christmas News About Santa Claus ? 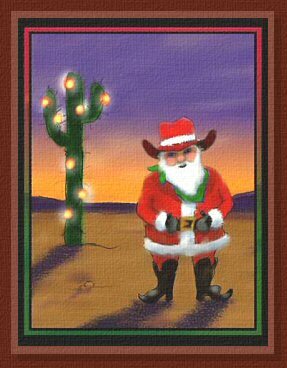 This Santa Claus sends Holiday Greetings and Merry Christmas Wishes to Everyone ! Due to all the Hassles about Christmas words being changed to suit everybody’s fancy well guess what ? Due to the over population in the Southern States Santa has hired another Santa Claus to help Him deliver all the gifts on Christmas Eve ! 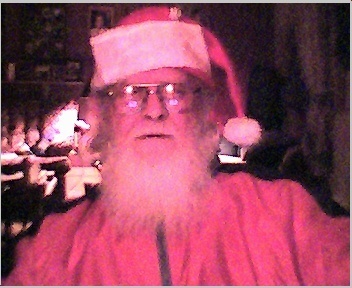 The above photo is one of the new Santa Claus that will be serving the Southern States ? For all the details please turn up volume and visit this URL ! Also in remembrance of our Troops And Their Family’s in this Christmas Season Pray for Them ? Then take time to visit this URL and turn up volume and listen to music ? AND THEN Enjoy this game with your children ! Most of all remember the Reason For This Season ? Jesus said to obey my commandments of which the Greatest of These Commandments Is To Love Me with All Your Heart and Love Thy Neighbor As Your Self !